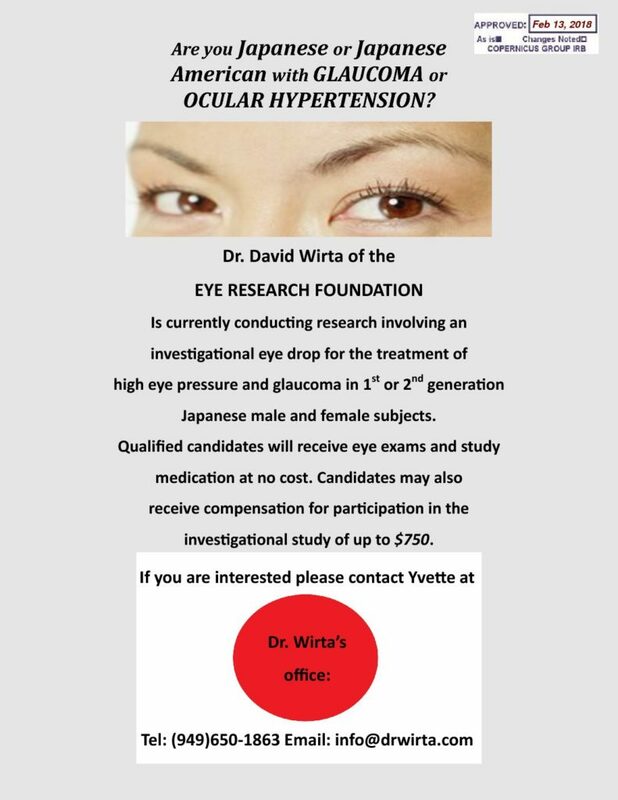 Are you Japanese or Japanese American with GLAUCOMA or OCULAR HYPERTENSION? 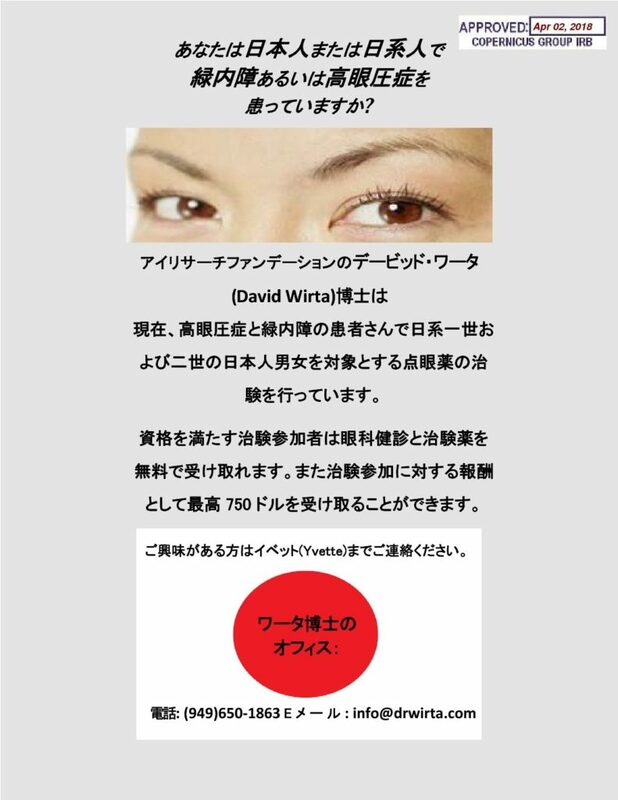 Dr. David Wirta of the EYE RESEARCH FOUNDATION Is currently conducting research involving an investigational eye drop for the treatment of high eye pressure and glaucoma in 1st or 2nd generation Japanese male and female subjects. Qualified candidates will receive eye exams and study medication at no cost. Candidates may also receive compensation for participation in the investigational study of up to $750.